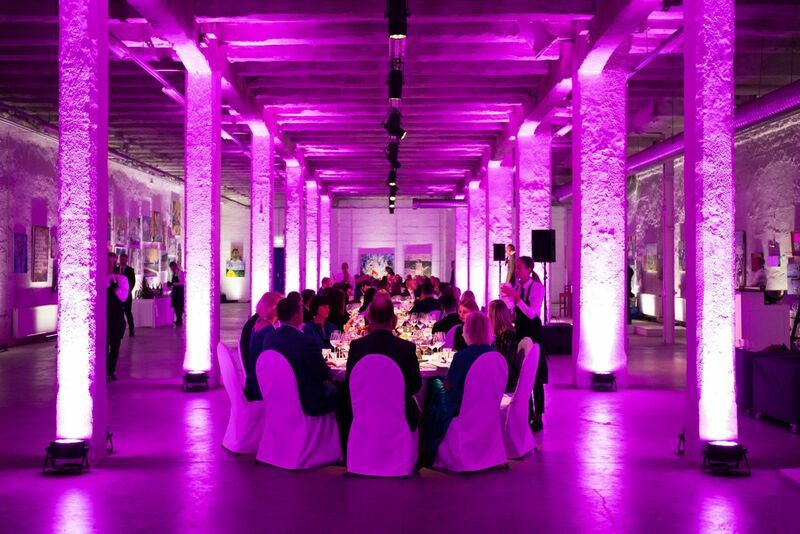 On our fifth birthday, we organized zero waste dinner for our customers and partners in Fahle Park. This is a unique concept designed to show that underutilized food can be used in a smart and sustainable way for a gourmet dinner. According to the Chef of dinner Peeter Pihel, one of the main reasons for food waste is the fact that people no longer use a simple peasant way for cooking and consuming food. "In the past, food was respected, and raw materials were used to the maximum. Time has passed, people are less creative and lazier - food courses are not thought through and people don't see where the products come from, therefore unnecessary food is thrown out," Pihel explained. According to Pihel, waste-free thinking comes from the knowledge of where raw materials come from and how they are packaged, thus the goal is producing less waste and saving the nature. "Zero waste - this is a desire to change the thinking of oneself and others," Pihel summarized the concept. According to the Managing Partner of KPMG Law Firm Ristor Agur, this topic was chosen for dinner as it delivers the essence of the law firm and its policies. "Like zero waste, we want to change ourselves and others' thinking, and the goal of KPMG Law has always been to do things differently, better, more innovative, and more efficiently. Well thought through dish that is made without waste is a good reflection of our focus on the effectiveness of our activity," Agur said, adding that a waste free dish also suited with the principles of global social responsibility of KPMG. KPMG Law Partner Karin Kaup added in the birthday speech that in the past year alone, the law firm has grown 82%. "In turnover, we grew from about 600 thousand euros to 1.1 million euros a year, as well as doubled the number of our employees. Our law firm is primarily the business of people and relationship, and this growth would not have been possible without high level of teamwork and strong synergy with other KPMG advisory services. An increasingly globalized business environment poses an increasingly complex challenge for businesses, and for that we offer efficient, integrated solutions with tax, audit and business consulting services," Kaup said. Every year, more than 25 thousand tons of food is thrown away in Estonia, more than 70% of which comes from households. Transferred to money that means 100 million euros of food is wasted annually.